Items contained within this catalog are for sale from STUFFEZES and represent items of various ages; antique, vintage, modern. All of which will be displayed on the same page. If information is known about the age of the item, it will be stated in items listing. 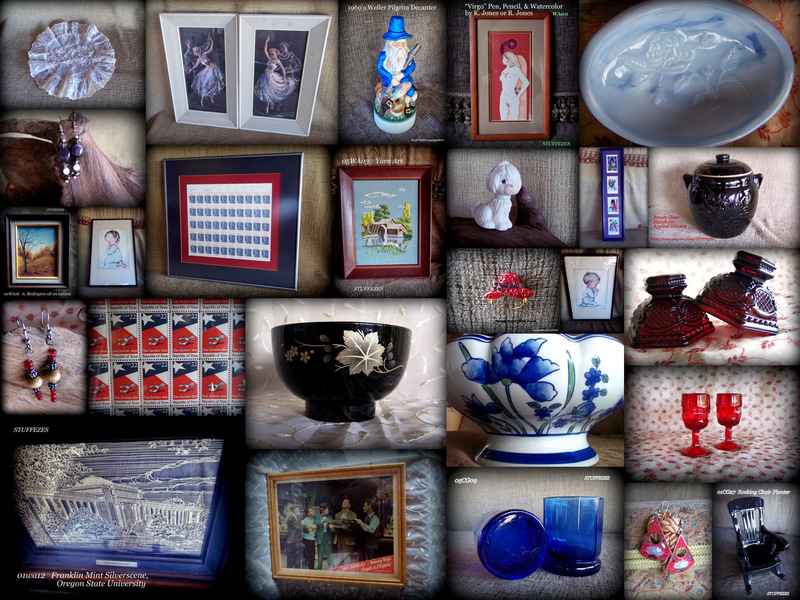 Most of these items are not yet listed on a purchase site but can be purchased by emailing a purchase request. For more information about purchase requests see, Making a Purchase Request. 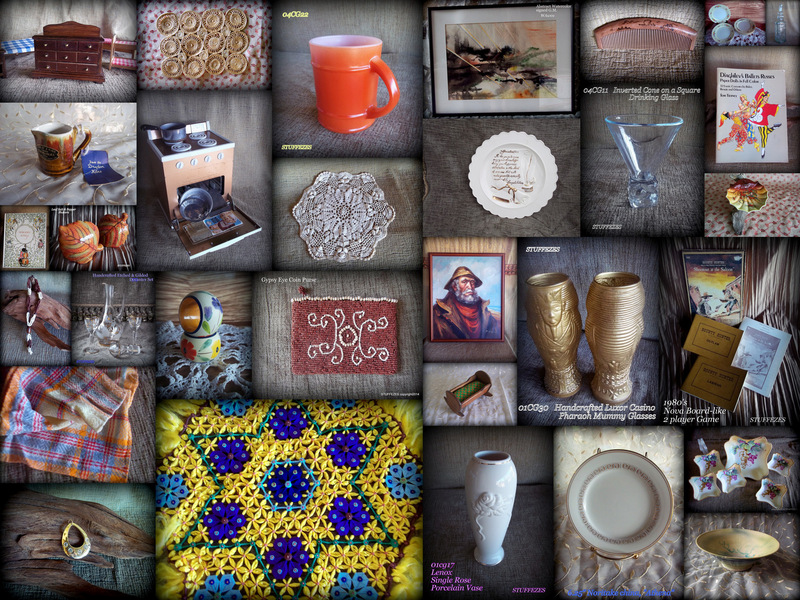 The listed items will show a link under the photograph; just click on that link to view that items listing. I do have multiple photos of each item but do not have them linked yet. Until I have the other photographs linked, interested viewers can again email me for where other photos may be viewed. Inventory (will be) can be categorized by, both, its use and its material make up. And within the categories of use, an item may be displayed under one or more uses category. This is not to be assumed as there being more than one of the item. If it is listed, the listing will note whether there are multiples available.viewed by its use rather than material make up. 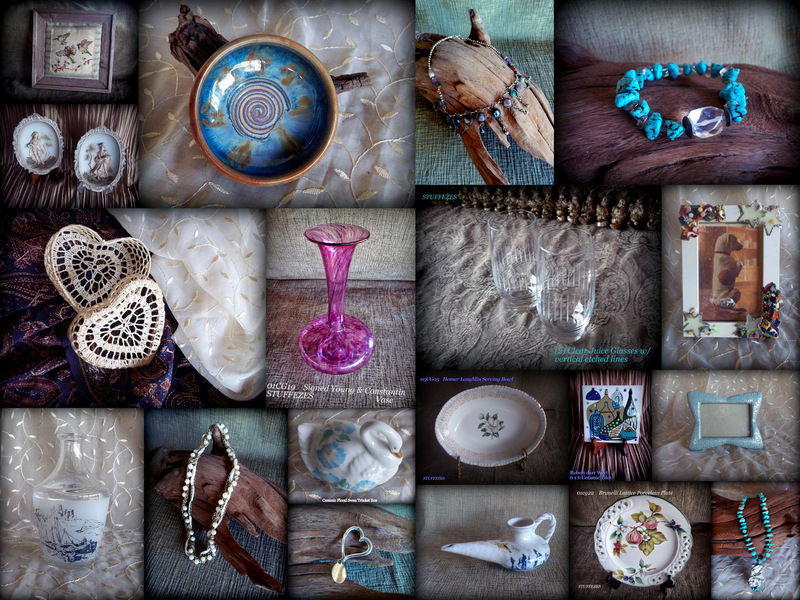 Currently, my shop is on Etsy and I sell on Ebay occasionally. To see items already listed on Etsy go to, STUFFEZES on Etsy.